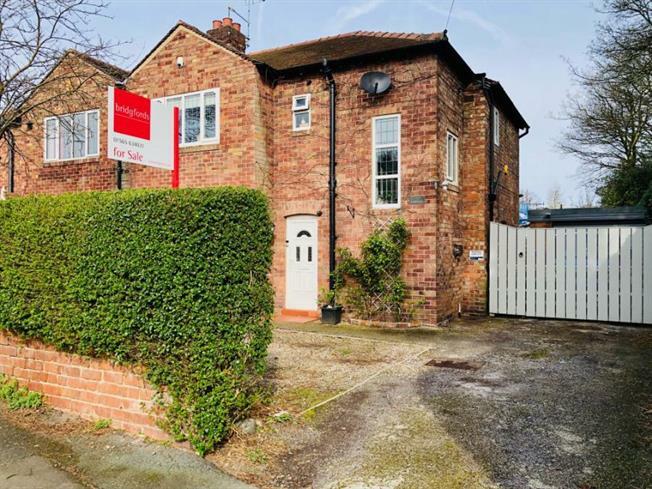 3 Bedroom Semi Detached House For Sale in Knutsford for Guide Price £400,000. Located within easy walking distance of Knutsford town centre is this impressive larger style three bedroom, two reception room semi detached house. The property sits on a substantial plot and benefits from an 80+ft rear garden, detached garage (currently converted into an office and storage space) and off street parking. The property offers tremendous potential to extend (subject to local authority permission).